We’re finally adding a completely new region of the world to Fishing Planet - Europe! Now you’ll be able to enjoy fishing the many European waterways, complete with their own unique vibe, scenic surroundings, beautiful nature and all the realistic details inherent to the region! The global map will be represented as a 3D globe. We’ll be adding 10 new waterways in total, all scattered around different European countries. Now you can go on a real fishing adventure and travel to countries like the Czech Republic, Great Britain, Italy, Russia, the Netherlands, and a few other places that we’re keeping a secret for now! ;) The first iteration of the new waterways will include 5 new rivers and lakes of the European region. You’ll get the chance to indulge in meditative fishing on a delightfully serene little pond, amidst the charming Czech woods, or land a trophy fishing the wide canals in the Netherlands, surrounded by a mesmerizingly urbanistic landscape, or even fill up your keepnet on the boisterous Carp ponds of Great Britain. And that’s not even mentioning the inimitable dolce vita vibe of captivating Italian scenery, that you can enjoy along with fantastic sunsets and the fishing rod in hand! Czech Republic will be the place to go if you’re up to catching some savoury Tench, Prussian Carp and plenty of Common Roach. You’ll love fishing in Italy, as the local waterways are well known for plentiful Asp, Common Barbel, Grayling and Carp. And how about conquering the tricky Eel in the Netherlands? Russia will be the place to go if you’re up to hunting some Sterlet. But that’s only one of the countless species inhabiting the deep underwater kingdom of Akhtuba river, including Zander and Blue Bream. But the introduction of new waterways means not only more species of fish, but also more opportunities! Alongside the European region, we’re introducing …. feeder fishing, ta-da! Now you can enjoy bottom fishing with the aid of feeders to constantly attract more fish to your spot! Why are so many anglers hyped about feeder fishing, you might ask. Well, thing is, while the fish consumes some of the bait in the feeder, the rest of the bait gets spread around the bottom of that area, which efficiently attracts other fish, thus multiplying your chances of a good catch! This function is literally a gateway to new possibilities, substantially increasing the quantity and quality of your catches! For now on, you’ll no longer need to constantly switch between rods and lures, making the frustrating choice of what fish to catch first and what tackle to use. The multi-rod function will double your chances of a catch and let you enjoy a variety of fish hunting options! No more tough choices. From now on you can just set up a bunch of rods simultaneously and enjoy waiting for the bites. This will definitely get me back in the game, will we be able to feeder fish in the American lakes as well? On one of your Facebook posts a change to fish ai was being done but no mention of that here? are we getting boats soon to ?? While the new areas and fish species look fantastic, I'm a little less excited about the prospect of using multiple rods or feeder systems in order to catch fish. I'm not a gadget oriented fisherman in real life and prefer the simplicity that FP has in place in terms of basic, traditional, hands-on fishing. If people want feeder fishing and multiple rods, that's fine, I just hope it isn't one of those situations where it's absolutely necessary in order to effectively catch fish. Keep up the great work and thank you for the update. Awesome! They all look great, and I like the UI tweaks. Can't wait to give it a try! While the new areas and fish species look fantastic, I'm a little less excited about the prospect of using multiple rods or feeder systems in order to catch fish. (..) I just hope it isn't one of those situations where it's absolutely necessary in order to effectively catch fish. I just want to catch a megalodon can you make that happen? 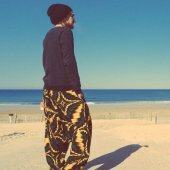 Can developers write more diaries? I'd like to read them. I almost never bait fish , only in spring when crappie ( slip bobber fishing ) and walleye are hitting post spawn . Im usually casting jigs , plugs or vertical jigging vibe baits . So to assume everyone who dont bait fish dont fish in real life seems like maybe you need to widen your knowledge of fishing . In the USA feeder fishing isnt as popular as Europe . I live in America! Born and bred in upstate New York and I'm sorry but ALL of my fishing friends bait fish. You know it's how we all start fishing, I bait fish for perch, catfish, bullhead, sunfish..... so I don't know what the hell you're talking about. Must be wonderful to have enough money to do nothing but lure fish all the time. A jig cost 45 to 60 cents and you can get a bag of plastics for 3 to with 5 dollars that can last months of fishing . Blade biats run 3 to 6 bucks and last years. If i go out on Lake Erie perch fishing then i bait fish , but the seems to have died off last 2yrs. You seem to assume alot like ppl dont fish IRL or they have money because they lure fish not bait fish . I assume you just one of those who posts with out really taking the time to see what others are saying . The old saying fits here Opinions are like assholes everyone has one. So you don't bait fish in real life? I've been consumed by fishing off and on since I learned to walk for the most part. I like bait fishing fine, but I have preferred the sport of lure fishing, specifically for largemouth bass which was an obsession of mine for many, many years. I practiced catch and release mainly, so the challenge for me was in presenting something that the fish would take on the given conditions. I've fished for largemouth bass in freezing weather just to see if I could get them to bite. Bait fishing definitely has a place for me, specifically for catfish, but I find it pretty dull by comparison to lure fishing. Gadgets was maybe the wrong term, but using rod stands and some sort of chumming system doesn't interest me. If that's what you like, great. I wasn't trying to start a bait vs. lure war. I was simply stating that I hope the new content doesn't rely on these newer modes of fishing too heavily in order to effectively catch fish on new lakes. Huh? Like Hateful said, that's a huge leap to make based on what I posted. If you and your buddies up in NY state ALL bait fish, then the rest of us fisherman who don't rely on bait fishing to catch fish must not have fished in real life? Logic? Loving the new content. And your timing couldn't be better as your "competition" just released their first game-play trailer and pre-order. 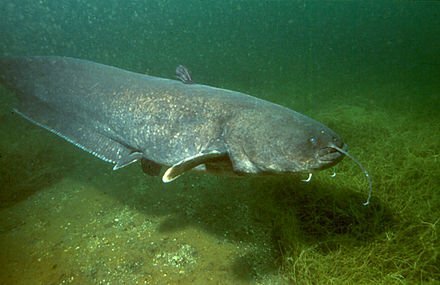 One thing I'll ask for if we are going into Europe is the Wels Catfish (Siluris Glanis). How do you miss this treasure of a fish to add? Would have been nice addition to the Czech Republic or Russia or even GB. Maybe you are saving the bigger ones for later... I hope so. Ever since I saw Jeremy Wade on River Monsters with that Wels Catfish, I can't get it out of my head. Is there any time period like a month or couple of months you could give us on a time release? I think late September or early October. Is this big update coming to Steam(PC/MAC) and PS4 at the same time or it will be on Steam first? Usually Steam first because Sony takes time for patch to go thru certification process . It seems like there will be some big tournaments follow up after this big update. Hope it won’t take too long for Sony to go through the patching process. I don’t want to switch back and forth my console/pc for FP. Don’t want to start over again. It took sometimes to gain the experience and built my gears. If Steam is better, I would switch now, but I don’t know. Thank you for releasing this preview of the coming update. How about the historical fish species? Will some of them include in this big update? Actually, I hope not, because they are especially created for the 4th July event, I believe. Please correct me if I remember wrong for which event they appear. Possibly to add Sweden in the new update? Night fishing salmons.